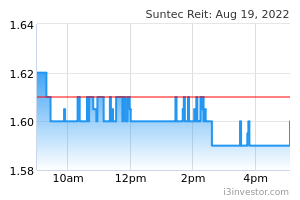 Suntec REIT reported its 3Q18 results this morning which met our expectations. Gross revenue declined 2.5% YoY to S$88.8m and NPI fell by a larger magnitude of 11.4% to S$56.5m due largely to lower contribution from 177 Pacific Highway (partially due to AUD weakness) and sinking fund contribution for Suntec City office upgrading works. According to Suntec REIT, the latter has no impact on distributable income, and if we exclude it, NPI would have declined by 3.9% YoY instead. DPU was stable YoY at 2.491 S cents (+0.3%), as the 2.9% dip in DPU from operations was offset by a 23.8% jump in DPU from capital (arising from a portion of the sale proceeds from the sale of Park Mall previously). For 9M18, Suntec REIT’s gross revenue was up 1.2% to S$266.9m and this formed 75.7% of our full-year forecast. DPU was flat at 7.398 S cents and accounted for 73.5% of our FY18 forecast. We will provide more details after speaking with Suntec REIT. 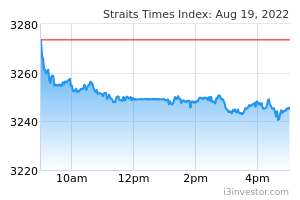 For now, we have a HOLD rating and S$1.84 fair value on the stock.